Sweet, complex and made for slow sipping, port is best known as an after-dinner drink. But white port, a lighter, crisper variety of the fortified wine, is an ideal aperitif—elegant and far more refreshing. 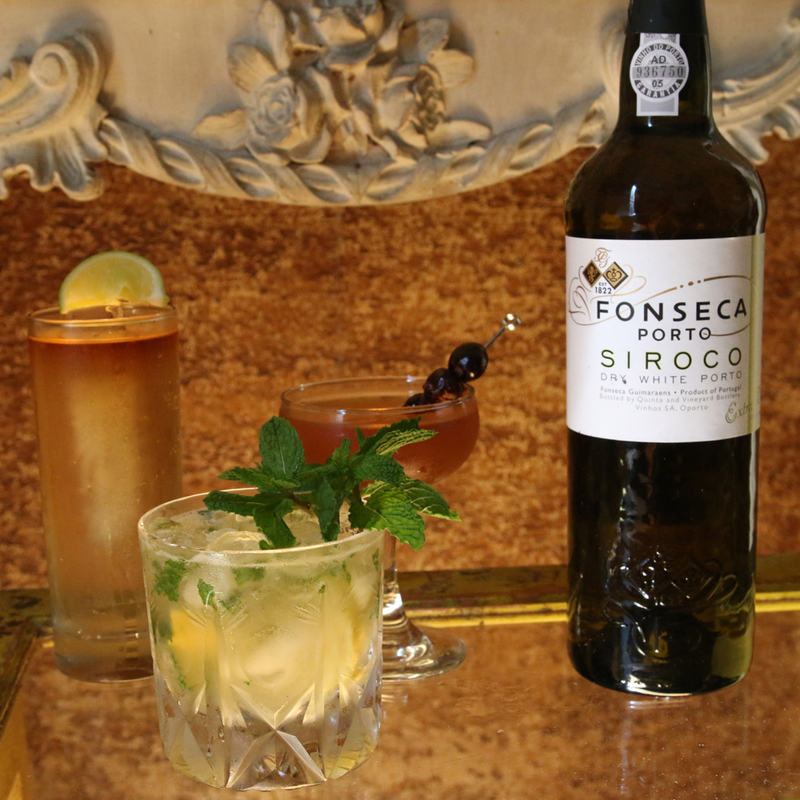 Today we’re using Fonseca Siroco, an extra-dry style that’s made from classic white port grapes (predominantly Malvasia Fina). It’s sweet up front but with a distinctly dry finish. Clocking in around 20 percent ABV, this white port is pleasant to sip well-chilled but we’ve discovered it’s even better in cocktails. Here are three to try, from the dead-easy highball to a brunch-perfect cooler. Unlikely though it may sound, white port and tonic is a favorite drink in Portugal: It’s less boozy than the classic G&T, but crisp and bubbly and just as refreshing. So while the summer weather lasts, you should be drinking WP&Ts whenever possible. Know what’s even better than white port and tonic? White port, tonic and a good dark rum. Instructions: In a tall glass with ice, add 1½ ounces of white port and 4 ounces of tonic. Add ½ ounce of dark rum, poured carefully on top—use the good stuff, since it’s just a float (we like Brugal 1888). Drink, and repeat. Ever heard of a Perfect Manhattan? It’s like the classic version, but made with both sweet and dry vermouth. That’s what this stirred drink of white port and bourbon reminds us of; with equal parts of each, it’s just a little lighter than a standard Manhattan, sweetened just enough by the port, smooth and totally drinkable. Instructions: In a mixing glass with ice, combine 1½ ounces of white port, 1½ ounces of bourbon, a dash of Angostura and a dash of orange bitters. (Don’t leave out the bitters in this guy; in such a simple cocktail, the balance they give is essential.) Stir the mixture for at least 30 seconds, then strain it into a cocktail glass. Garnish the drink with brandied cherries, if you want to be fancy. On a recent visit to Spain, at an outdoor festival in 100-degree heat, we discovered the rebujito: a low-alcohol spritzer of light, crisp fino sherry topped off with lemonade (or even 7-Up), with a little mint garnish. We’re giving it an upgrade with even more mint and fresh lemon juice. It drinks like a cocktail but with only port contributing alcohol, it’s quite tame—a perfect day-drinking candidate if we ever saw one. Make it by the pitcher while these warm summer afternoons last. Instructions: Cut ½ lemon into wedges. In the bottom of a cocktail shaker, muddle them (that is, smash ’em up). Add 2 ounces of white port, ½ ounce of simple syrup (equal parts of white sugar and water), and 8 mint leaves, plus a bunch of ice. Dash in some orange bitters if you have them. Shake that together and pour—ice and all—straight into a rocks glass. Garnish with another sprig of mint.